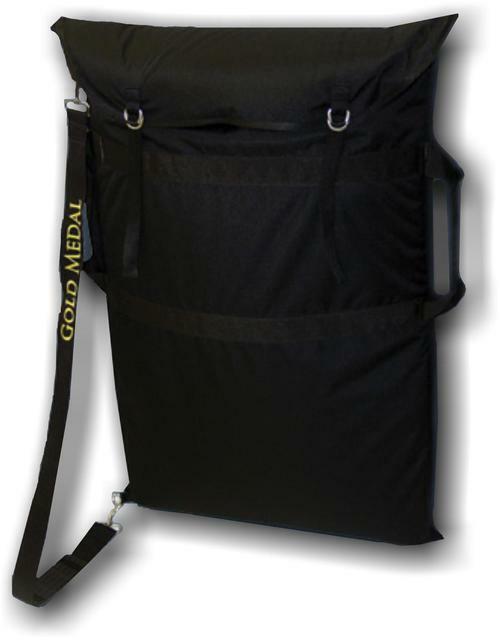 Gold Metal Director Chair Travel Bag. 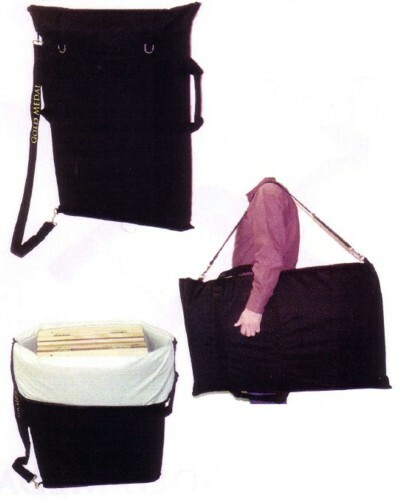 Rugged travel bags make transporting and storing a cinch. Constructed of durable 1000 Denier Ballistic Nylon, with plush poly bonded fiber padding and a soft nylon inner lining. The chair travel bag is available in two sizes, Medium (For the 18" table height chairs) and Large (For the 30" inch bar height chairs).